On New Year’s Eve, Tower Court will give one of our guests $1,000 cash back! In addition, Tower Court is giving $100 cash back to one guest every month. 1. This promotion is open to visitors to the Hervey Bay region only. 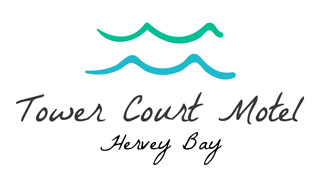 Guest’s who reside in the Hervey Bay region are excluded from entering the promotion. 2. Guest’s whose stay at Tower Court Motel is contradictory to our standard terms as stated on their ‘Arrival Form’ and in our ‘Guest Directory’ will be excluded from the promotion. 3. The primary guest for every reservation at Tower Court Motel will receive one entry in the promotion for each night stayed. The primary guest for reservations booked directly with Tower Court Motel will receive two entries for each night stayed. 4. The primary guest will receive one additional entry per person booked on any tour directly with Tower Court Motel. 5. The primary guest must provide a valid email address and phone number in order they can be contacted in the event they win the promotional prize. 6. The promotional prize will be received by the primary guest as a credit to their chosen credit card. 7. The monthly random draw will take place on the last day of each calendar month and will include all entries with arrival dates in the corresponding month. 9. The winners of each draw consent to Tower Court Motel publishing the results publicly. Out of respect for your privacy, the result will include no more than a first name/s, surname initial and home town. For example – Rhys & Larysa H from Torquay, Queensland. Congratulations to our Cash Back Promotion Winners!